This is an event concept idea for Seventeen as they celebrate 70 years as a teen fashion magazine. 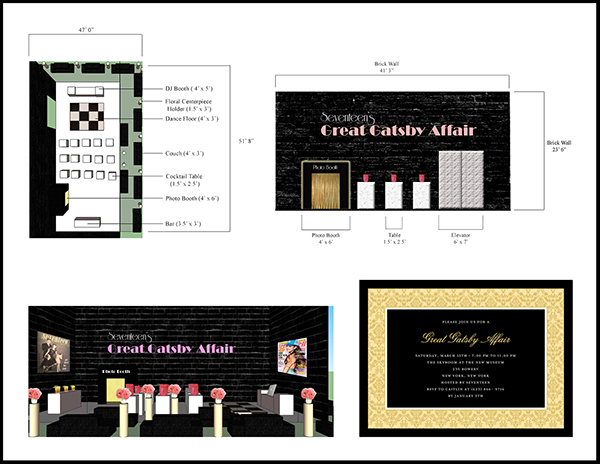 The theme would be a "Great Gatsby Affair" encompassing the party style of the 1920s. Included in this package of work is a floor plan, elevation, space rendering, and event invitation.